It can be vastly annoying to receive the wrong order at a fast food restaurant after patiently waiting for your meal in the drive-thru line. But there’s no reason to resort to violence, a tack police in St. Paul, MN said one group of customers took when they allegedly attacked other customers, hitting one in the head with a tire iron. 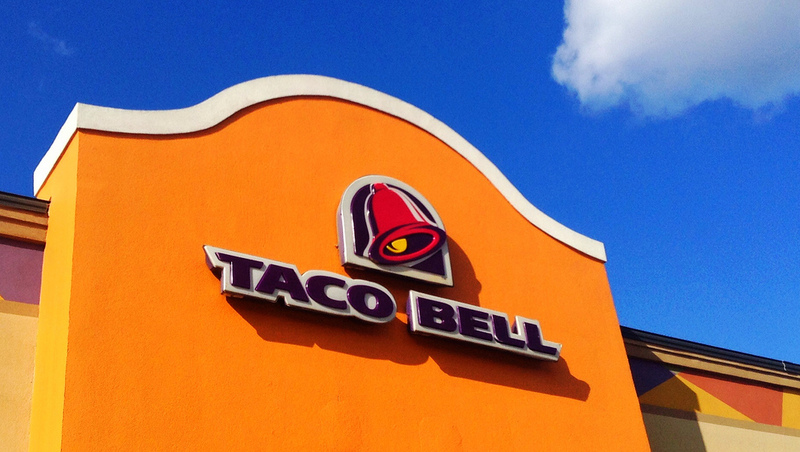 According to the police complaint, a 24-year-old woman and her two friends entered a Taco Bell after getting a wrong order in the drive-thru, reports the Pioneer Press. The three women were “belligerent and swore at staff,” according to the complaint, while a 15-year-old customer inside who’s a regular there apparently tried to talk to the group about mistreating their staff. They argued, the group left and then came back later, one with a metal pipe, which she handed off to a male cohort. He then allegedly hit the boy over the head with the tire iron. Police say the group then walked into the parking lot and attacked another customer who was getting out of his car. He said he was hit in the face and fell to the ground, where he was then assaulted by the group. The female suspect who brought the tire iron into the restaurant is the only one who’s been charged: She’s been hit with one felony count of second-degree riot with a dangerous weapon. She admitted in a police interview that she retrieved the weapon and gave it to her male companion, though said she tried to pull her friends off the other customer in the parking lot. Next Does Postdating A Check Prevent Anyone From Depositing It Early? Next Up: Does Postdating A Check Prevent Anyone From Depositing It Early?